In the early years of Beatlemania, Lennon and McCartney became a prolific songwriting team. Their output, individually or collectively, was enormous by today’s standards. But, as they were quick to admit all through their career, they didn’t always write with the same intention. In fact, there were two types of songs that they would write in the early sixties: "hit" songs and "work" songs. "Hit" songs were those they wrote under inspiration with the intention of them becoming popular by The Beatles. They would labor over these songs, sometimes "eyeball to eyeball," in search of the right chord, melody line or harmony. They would bring them into the studio with brazen confidence that this was the next million-seller for the group. "Work" songs were mostly written for others. Brian Epstein, The Beatles manager, was encouraging them from the beginning to write for other artists. He would explain to them the financial advantage that writing for others would bring to them through royalty payments. Once The Beatles were on the ‘top of the heap’ in Great Britain, he had an ulterior motive: for Lennon and McCartney to write songs for the other artists he managed, knowing that anything with the “Lennon / McCartney” name on it would sell, giving Brian a percentage of the other artists wages as well. Therefore, John and Paul would write what they would call "work" songs for them. They viewed writing these songs as just a job, and cranked them out whenever they had spare time. In the process, they garnered huge British hits for Billy J. Kramer and The Dakotas, The Fourmost and Peter & Gordon amongst others. Also included in these "work" songs were ones that they wrote for either George or Ringo to sing on their albums, or as last minute fillers to complete an album they were working on. This is where “Little Child” comes in. When asked about the song in 1980, Lennon’s recollections were that the song was written for someone else, “probably Ringo.” His recollections were confirmed by McCartney who explained how Ringo refused to sing it. 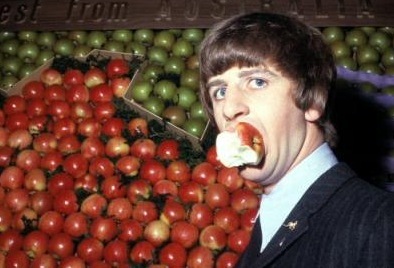 Hence, the song was recorded, with Lennon predominantly singing lead, in order to provide a filler song for their second British album. British folk singer Elton Hayes appears to be a partial inspiration for the song “Little Child” according to McCartney. “I nicked a bit of melody from one of his tunes, ‘I’m so sad and lonely,’ that little bit came from a line: ‘Whistle, my love, and I will come to thee, I’ll always find you,” explained Paul, adding “I think it was from a Robin Hood film.” The song was in fact entitled “Whistle My Love” from the 1952 Walt Disney movie “The Story of Robin Hood and his Merrie Men,” which was written by George Wyle and Eddie Pola. “Little Child” appears to have been written in a rush (“two hours”) as a collaboration between Lennon and McCartney, probably favoring Lennon because of his eventually being featured as lead vocalist. This assumption is based on the fact that almost all of the Lennon / McCartney songs in their catalog are sung by the primary writer. Although nearly a month and a half had transpired since their last recording session, it can be assumed that, because of their hectic touring and television broadcast schedule, the song was not written until early September 1963 just days before it was recorded. This can also be assumed because of their laborious attempts at recording the song which stretched to three recording dates and complicated editing sessions. If there had been time to perfect the song beforehand, they would probably not have taken so long to record it. They reconvened in studio two the following day, September 12th, primarily to work on songs they had previously put aside. The evening session, from 7:00 to 11:30 pm, began with recording their re-worked version of the George Harrison composition “Don’t Bother Me” and then, at approximately between 8:00 and 10:00 pm, they resumed work on “Little Child.” Staring with take three, they ran through at least five full band run-throughs of the song, take 7 being deemed the best. 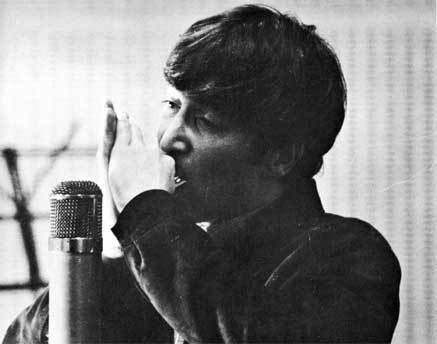 Overdubs then appeared to begin, Lennon performing his harmonica overdub throughout the entire song, take 13 being the best. McCartney, always the dependable musician, nailed his piano overdub for the song in two takes, take 15 being the best. 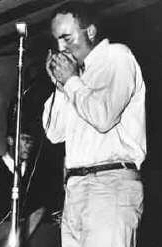 It then appears that the group did more full-band performances of “Little Child” because the harmonica solo section of the song was eventually edited from a section of take 18 which was also performed on this day. Take 18 must have been an overdub of McCartney once again on piano, since this later band performance features McCartney playing both bass guitar and piano. This take of the song was the final attempt of the song for the day, although it would be returned to later. September 30th saw George Martin and engineers Norman Smith and Geoff Emerick make the edit on the song, splicing the harmonica solo section of take 18 into the piano overdubbed take 15 of the song, which was now deemed complete. 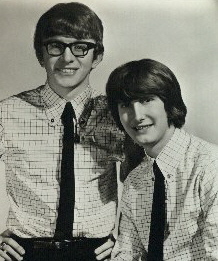 This day also saw the first attempt at a mono mix of the song, although this mix was considered unsuitable and was attempted again at a later date. 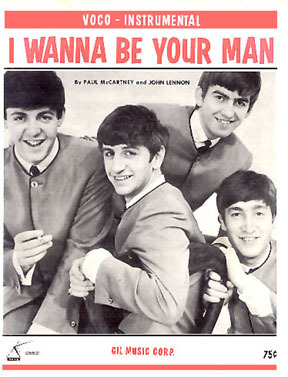 The group convened again for an evening session on October 3rd, between 7:00 and 10:00 pm., to add more lead vocals to both “I Wanna Be Your Man” and “Little Child.” Three attempts at overdubbing John and Paul’s vocals for the latter were performed approximately between 9:00 and 10:00 pm, take 21 being considered the best. It could easily be assumed that the next mono mix of the song would include the new vocals that were recorded on October 3rd. This assumption appears to be wrong. On October 23rd, George Martin and Norman Smith reconvened to create more mono mixes for the upcoming album. They decided, no doubt mistakenly, to create the new mono mix of the song using the same source tape they had used previously, which was an edit of takes 15 and 18. This is the mono mix of the song that appears on the album to this day. Curiously, on October 29th, the same EMI staff members, with Geoff Emerick and the mysterious BT, created the stereo mix of the song using take 21, which included the new vocal overdubs from October 3rd. This means that the vocals on the stereo version of the album have always been different from the mono version, if only slightly. What is definitely noticeable on this stereo mix, however, is the awkwardly obvious edits that combine the harmonica solo section with the rest of the song. This is another glaring example of how uninterested the EMI staff was with preparing stereo mixes back in the early sixties. In fact, the whole album, all fourteen tracks, received its stereo mix within a three hour session on this day. The structure of this song is standard fare for the early Lennon / McCartney catalog thus far. Although there are slight differences, one can easily compare “Little Child” to the structure of “Love Me Do” or “Do You Want To Know A Secret” in that its verses are all lyrically identical within the same general framework; something that occurs very infrequently in The Beatles catalog. Nonetheless, we have a standard 'verse/ verse/ bridge/ verse' structure here (or aaba). One difference would be the solo section which uses a different chord pattern not heard elsewhere in the song, followed by another bridge and final verse. 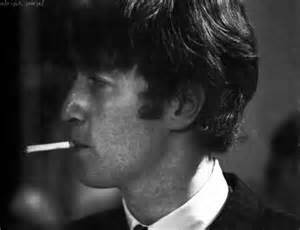 First, though, we start out with a four bar introduction, the first two bars played only by Lennon’s harmonica. McCartney’s piano glissando at the end of the second bar introduces us to the full band for two more measures. The first eight bar verse then begins in which we hear short staccato phrases sung by a double-tracked Lennon. We then hear the only actual harmony in the song, during the “I’m so sad and lonely” line, which pushes for attention as the true focal point of the whole song. The first verse has a slightly different ending chord pattern which is utilized in order to provide a segue into another lyrically identical verse. 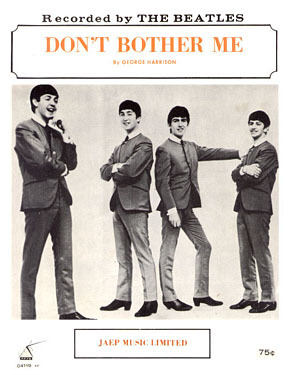 Unlike “Love Me Do” or “Do You Want To Know A Secret,” which both have longer and more intricately structured verses, “Little Child” needed to vary its verses in order to create a nice flow and avoid redundancy. After the second verse, which this time ends in the home key, the six bar bridge occurs. The three longer lyrical phrases that are contained in the bridge provide adequate contrast to the short phrases in the verses. We then repeat what would be considered the second verse because of its ending home chord. 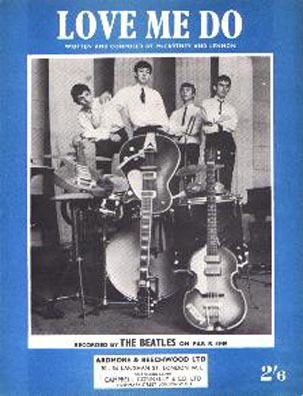 As stated earlier, the solo section of the song next occurs, which is not played above the chord structure of either the verse or the bridge, which is standard for The Beatles, but is played above a somewhat typical twelve-bar blues pattern. This time around, the solo spot features John’s harmonica. The abrupt edit catches Lennon mid-breath in his harmonica solo to start singing a second bridge. In order to add some variation to the song, another set of lyrics is heard for this bridge which is otherwise identical to the first. We then take the natural progression to a final identical verse, which is this time extended by repeating a four chord pattern accompanied by the final line “baby take a chance with me” until the song fades. It’s apparent that the lyrics were written very quickly with the only intention of being used as a backdrop for an enthusiastic musical delivery, but nonetheless, they are worthy of interpretation. Although on the surface it appears that the singer is just asking a girl to dance, his intentions obviously go further. He wants her to “take a chance” on him with the end result of her becoming “mine, all mine.” Sexual overtones are also evident, suggesting that he’ll make her “feel so fine” when they “have some fun.” The inclusion of the “c’mon, c’mon, c’mon” lyrics, as heard in “Please Please Me,” also suggest an impatient carnal proposal. The girl can be assured that she’s the “only one,” at least when she’s ‘by his side.’ While the lyrics can be viewed today as sexist, it is in actuality just an example of teenage bravado; “little child” being used as a term of endearment, not as pseudo-pedophilia as some writers suggest. John’s harmonica work, while sloppy in spots, is played with confidence and enthusiasm throughout. “Throughout” is an appropriate word because this is the only Beatles song that has Lennon play harmonica throughout the whole song nonstop. “I’ll Get You” comes close, but its bridge is devoid of harmonica in order to provide an appropriate contrast. Not the case with “Little Child.” As far as the harmonica solo, it can be assumed that this wild and spontaneous-sounding solo was a product of the full band playing to urge him on. 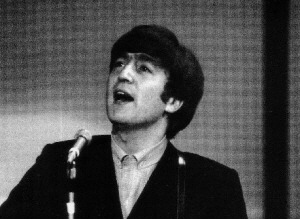 While it made for an uncomfortable edit piece to the song, it showed Lennon in good soloist form, reportedly inspired by Cyril Davies from Alexis Korner’s Blues Incorporated. McCartney shows himself in good form as pianist on this track. 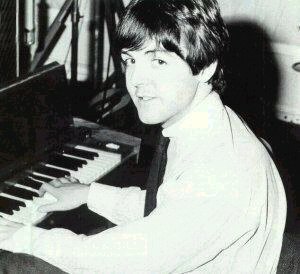 From his opening glissando to his vamping during the fade, Paul shows himself as more than capable on the keyboards, even at this early stage of The Beatles recording career. George Martin, while still appearing tickling the ivories on later Beatles songs, was shown here that piano work could easily be trusted to the hands of an actual Beatle. Paul’s bass work is also proficient throughout but, as with most of this album, is barely discernable because of being buried in the mix. Paul also sings background vocals, although they are hardly heard apart from the final seconds of the song. 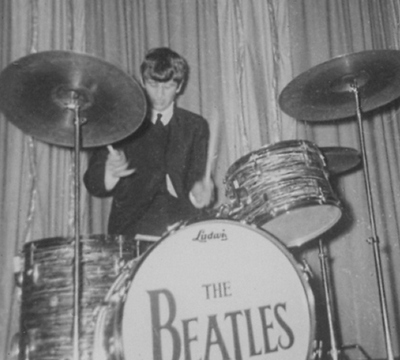 Ringo also puts in a commendable enthusiastic performance, maintaining his usual “beat-style” drum rhythm throughout. The only drum fill performed, or called for in this quick and self-contained song, was as a transition between the third verse and solo section. However, crank up your hearing aids to see if you can discern any trace of Harrison’s guitar. He’s there, but so low in the mix that he may as well not have been. The harmonica and piano are the primary components of this song, therefore neither George’s nor John’s guitar can scarcely be heard at all. The first and only official release of “Little Child” appears on the Capitol album “Meet The Beatles!,” released on January 20th, 1964. This album was finally released on an individual compact disc on January 21st, 2014, both the mono and stereo mixes being contained on a single CD. Despite the surprising occurrence of a segment of the song on the track “Beatle Medley” on the documentary double-album “The Beatles’ Story,” released on November 23rd, 1964, no compilation album throughout the years included the song. 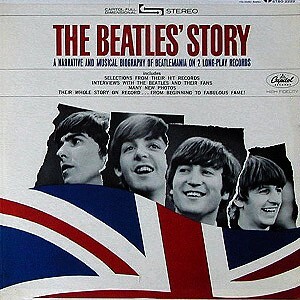 Surprisingly, "The Beatles' Story" was also released on compact disc on January 21st, 2014, but only as contained in the 13 album box set "The US Albums." February 26th, 1987 saw the mono release of the original British "With The Beatles" album on compact disc, while the stereo version became available on the remastered edition released on September 9th, 2009. 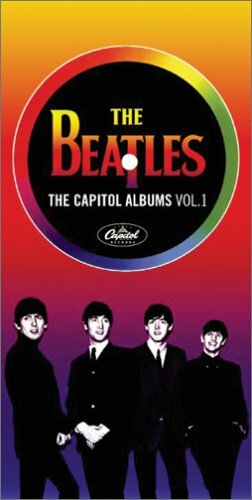 Also, the box set “The Capitol Albums, Vol. 1,” which was released on November 15th, 2004, contains both the stereo and mono version of the song as heard on the original "Meet The Beatles!" album. While “Little Child” has never been considered to be anyone’s favorite Beatles song, nor has it received much radio airplay apart from “A to Z” shows, the song stands as a testament to Lennon and McCartney’s abilities as songwriters. They could crank out a hummable and exciting song "made to order" if needed, even amid an excruciating touring and recording schedule. Indeed, they could crank out a handful of these songs at a time if necessary, as they had in this instance. 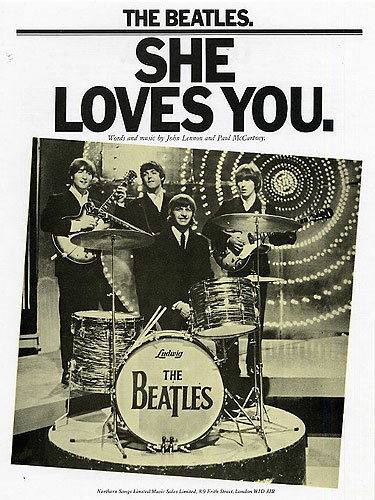 What is to be admired is that they viewed songwriting very seriously, whether if it was for financial gain in churning out songs as a means to an end, or in laboring over a tune to perfect a pop masterpiece as they had done with “She Loves You” and “I Want To Hold Your Hand” during this period. This was their chosen profession, and they worked at it with real vigor and enthusiasm. It is truly an understatement to say that much improvement was on its way for the Lennon / McCartney songwriting team in the future. It’s equally just as unfair to say that “Little Child” makes The Beatles sound like ‘tired hacks’ as some sources testify. 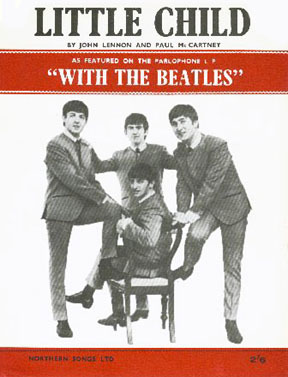 One thing that can be said is that, although this song is not a prime example of what Lennon and McCartney were capable of, The Beatles could summon up a great deal of enthusiasm to pump up a song of any caliber to create a potboiler of a rocker which fits nicely within the framework of the “Meet The Beatles!” album. "Don't Bother Me" PREVIOUS - NEXT "Till There Was You"